In these last few weeks of pregnancy it's getting harder and harder to fall back to sleep after my many visits to the restroom. So I sat up at 4 am online shopping and browsing through the many new summer items in my favorite shops' collections. 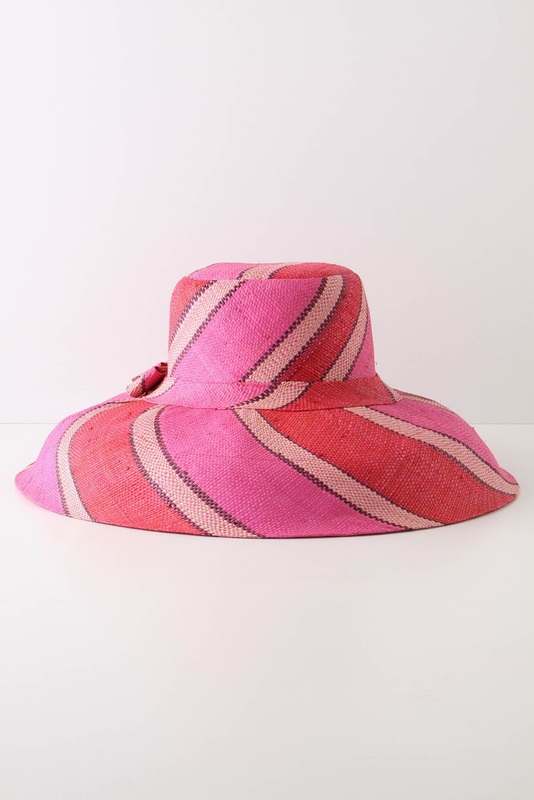 I've had major beach envy these days, and naturally, with the coming of warmer weather, I am browsing through bathing suits, cover ups, flowing maxi dresses, beach hats, bags and sunglasses. While I might not want to jump straight into that number, it sure is adorable. Wouldn't you agree? Whimsically beachy. I'm all about the bow tops. I've got a pair of these in a thin pink stripe. I wore them all through my beach vacation last summer and loved them. Definitely a fun flip flop alternative. 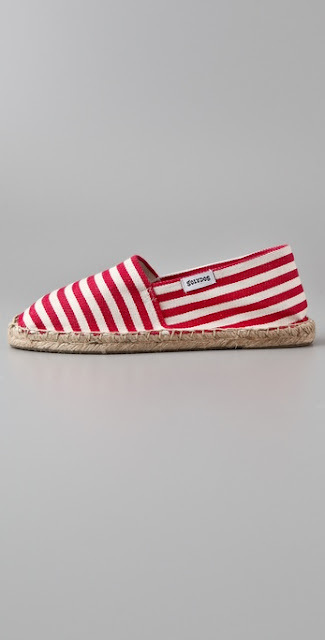 While the Soludos are a much cheaper alternative, if you're looking to be spendy come beach season, you can't go wrong with these awesomely psychedelic espadrille's. Love the lilac shade of this dress and the asymmetrical hemline. It seems like the ideal beach dress because it could go from beachy day wear to a pretty evening dress with the addition of strappy heels, a bun and some makeup when you want to pop into a nice restaurant for a bit after soaking in all the sun and salt water. It's not breaking news that I am a fan of stripes. Most of my t-shirts are striped. I just love the nautical look of a good, bold, horizontal stripe. So naturally, this cover-up caught my attention. It's easy, casual, and comfortable. Love the color and shape of this sunhat. So precious. I love your Favorites! I miss Summer so much.